Gamefly Streaming (available in the U.S., Canada, Mexico, Brazil and EU countries): Monthly subscription high-end game packages such as Family Pack, Gamer Pack and Disney Pack. Samsung Checkout on TV offers a simple management system for transactions, as well as handling payments and settlements. The service supports payment by credit card, and depending on the region, via PayPal. Designed to be easy-to-use, Samsung Checkout on TV utilizes a straightforward two-step system designed to work with the TV remote control. Once users register their credit card, they just need to click “Pay Now” to buy an item, then enter a four-digital PIN (personal identification number). With the new service, purchasing digital content on Samsung Smart TVs is now simpler than ever before. In Portugal, Samsung is advancing the T-commerce experience even a step further, with Samsung Smart TV users there able to order various goods including food such as sushi, pizza and wine from the comfort of their TV screen. The service has been made possible with Samsung’s partnership with a local cloud-based platform yubuy®, which provides T-Commerce solutions and has partnered with more than 20 domestic Portuguese and international brands like Pizza Hut. For Samsung Smart TV users in Portugal, the yubuy® app is the most convenient way to shop from a distance, from ordering to delivery, with its simple and intuitive interface and secure and contextualized solution that runs on Samsung Smart TVs. In terms of payment options, the yubuy® app offers several modes, ranging from cash on delivery, electronic bill payment, credit card and payment service via a mobile app. 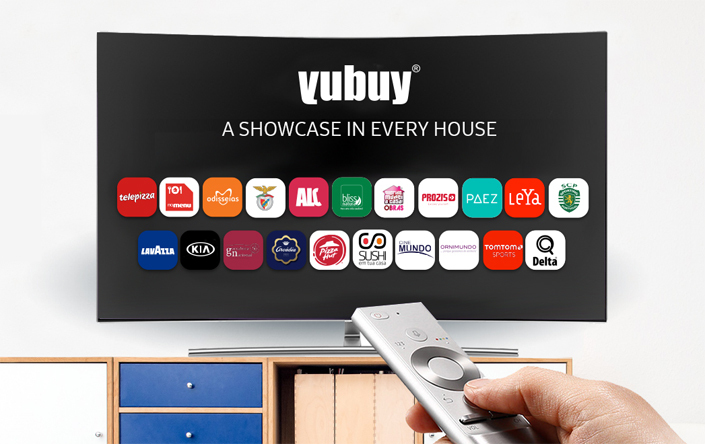 yubuy® already has a reach of two million households (or six million people) via cable TV, which is more than 60 percent of the Portuguese population. Samsung Checkout on TV, and Samsung’s local partnership with yubuy® in Portugal, highlight the continuous efforts that Samsung is making to advance T-Commerce solutions and evolve the TV experience.